We had a great turn-out for the General Membership meeting on Tuesday night. 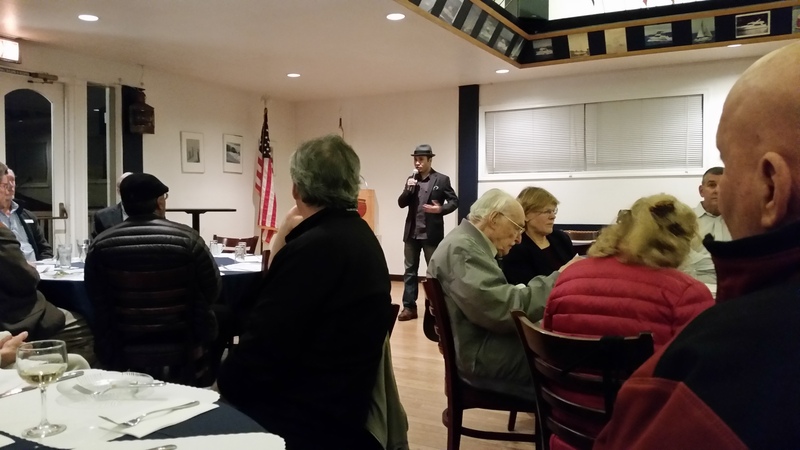 Our speaker was Chester Santos, the “International Man of Memory,” who has appeared in many forums, including in the New York Times, Wall Street Journal, San Francisco Chronicle, Washington Post, USA Today, PBS, CNN and various other television, radio and print media. Chester is the 2008 USA National Memory Champion and came in to help us all with our memory retention (and most of us could use it). He is right, I now can’t forget the list of words he gave us to memorize: monkey, iron, rope, kite, house, paper, shoe, worm, envelope, pencil, river, rock, tree, cheese, quarters. Even after 24 hours of trying to forget. After Chester’s informative talk, we started the GMM meeting with an 8-bells ceremony for Maryann Byrd-Natly, our oldest member of the club, who left us in December of 2014 at the age of 107. The board then provided reports and led discussions regarding the activities of the club.